By Ryan Whitwam on July 13, 2010 at 5 p.m.
Do any Android phones suffer from a death grip? The problems with the iPhone 4 antenna are now the stuff of internet lore. You cannot spend more than five minutes on the interwebs without seeing a story, or a test, or a complaint about the negative effects caused by holding the iPhone 4 in an unapproved way. Some (Apple included) have pointed out that all phones suffer some signal attenuation when held near the antenna. 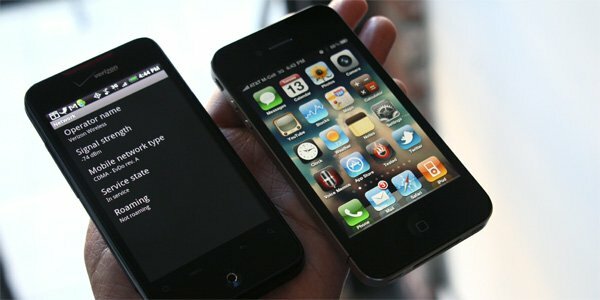 Most of the testing done on the iPhone 4 is anecdotal, with Anandtech and Consumer Reports being the notable exceptions. Apple chose to remove the field service interface from iOS4, making it harder to get real readings from the phone. Android has not restricted access to this data. 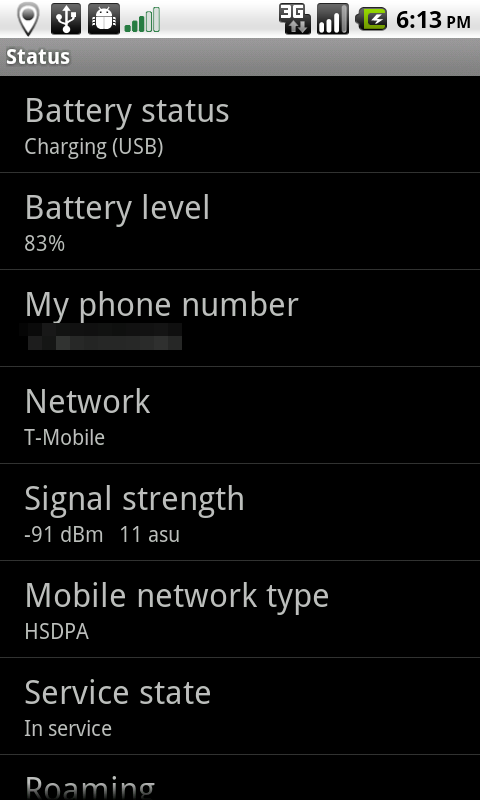 In fact, there are even some third party apps you can use to assess your signal strength. We show you how to get a good read on your signal, and even check for dead spots. death grip that kills the signal on the Nexus One. The results? Surprising. no matter what phone you're using. Android also covers a large swath of very strong signal with just the highest bar indicator. In case you're not familiar, signal is usually measured in dBm. dBm is the power ratio in decibels of the radio power per one milliwatt. A signal of -60dBm is nearly perfect, and -112dBm is call-dropping bad. If you're above about -87 dBm, Android will report a full 4 bars of signal. If you want to check out just where you are at in raw numbers, you can check the status screen in Android's menu. Just pull up the menu, scroll down and select About Phone, then select Status. On this screen you will be able to see your signal displayed in dBm as well as ASU. ASU is just a representation of the rate at which the phone is able to update its location by connecting to the towers near it. It basically measures the same thing as dBm, but on a more linear scale. You can convert ASU to dBm with this formula: dBm= -113+(2*ASU). So these are some numbers you can look at that might give you some more insight into those nebulous bars at the top of the screen. Another way to try to nail down just what sort of signal you should expect is to look into how far away your local towers are. 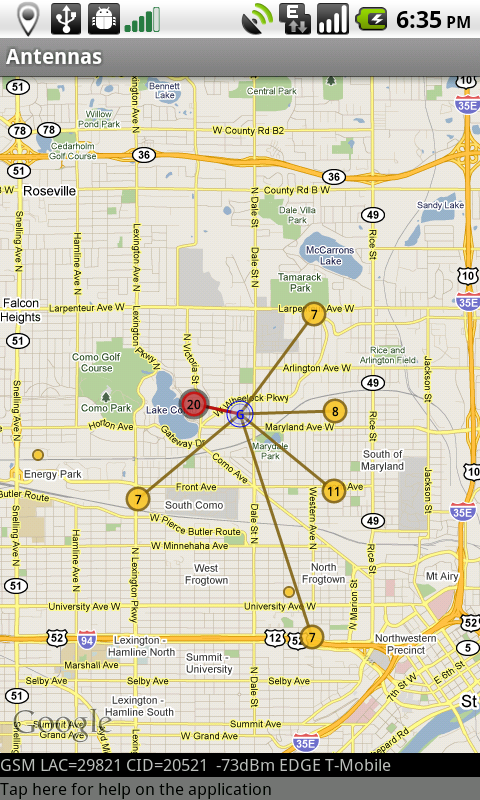 With an app called Antennas in the Android Market, you can see on a map where the towers your phone can see are located. You can get a good idea of which direction you might want to go to get better coverage. So let's say you've tested the signal strength in your area with the above methods, and found the Android bars aren't cutting it. Maybe you find yourself in an excellent coverage area and want more warning when you get brought back to Earth. In that case, having the first bar disappear around -88dBm is pretty useless. You can use an app to show your own customized, glanceable display of signal strength. Real Signal will show a persistent notification in the status bar with its own series of 5 bars. You can't just replace the standard Android signal bars without rooting, but you can train yourself to look at the top left instead of the top right. Real Signal will ask you to set the cut off numbers for each bar in ASU. If you pull down the notification bar, it will display the current ASU as well as the high and low since the app was started. The service can be started and stopped as you like. It's certainly a good option for those that don't trust the standard signal display. A Nexus One death grip? A lot of phones these days put the radio near the bottom of the handset, and the Nexus One is no exception. This is often done because of the way the FCC tests power output of the phone. They basically attach it to a human head analogue and measure the transmission power from the perspective of said head. Having the antenna at the bottom means less radio frequency waves are flooding the sensors. Knowing this, is there a way to kill the signal such that we dropped a call on the Nexus One? We first tested our signal while laying the phone flat on a desk. 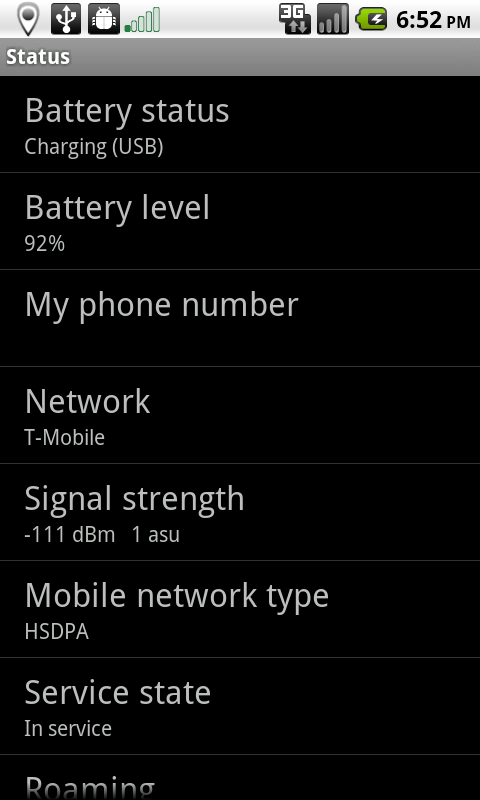 It registered -91dBm 11ASU on HSDPA (3G). Your starting signal will likely vary. Holding the Nexus One with an Apple approved fingertip grip, not touching the body of the phone, we saw no appreciable drop in signal. Holding the phone in a more natural way that covers the bottom half of the phone with our hand did affect the signal. It bounced between -101 and -98dBm; all of this still holding a 3G signal. We called a line with a test tone and started covering up the phone (note, we cannot be sure this line is toll free, but we risked it). As expected, any normal method of holding the phone with one hand was fine. When we sandwiched the phone between two hands, the call did indeed drop after about 10 seconds. We retried without turning off 2G, and instead of dropping, the call continued on 2G without a hiccup. So yeah, you can kill the 3G signal on the Nexus One, but it takes two hands. We're all using our smart phones everywhere these days. As such, we want them to work no matter where we are. The sad thing is 3G networks are much more sparse (in the US) than we'd like. Even living on the outskirts of a major city can mean poor signal. It's best to just know what you're working with before you start expecting a certain level of service. Luckily, on Android you don't have to trust the bars. You have tools, both included and third-party, that can help you get a handle on things. 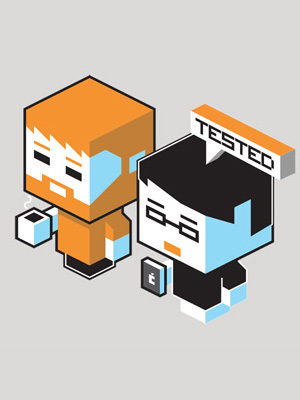 If you run some of these tests with your phone, let us know the results.